by Veterans of the Battle of the Bulge, Inc. 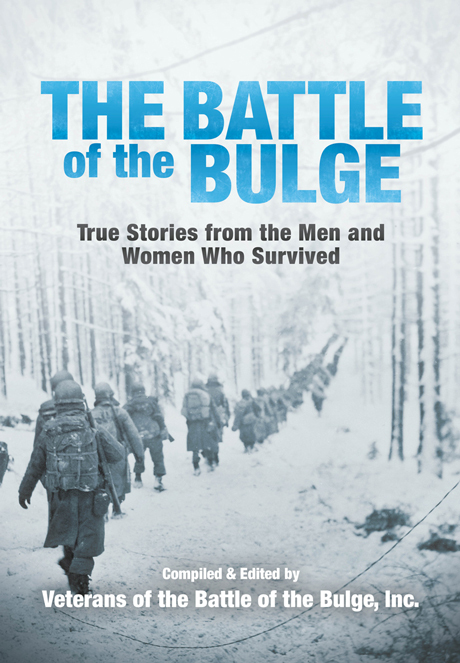 The Battle of the Bulge is a compilation of firsthand accounts narrated by the men and women who endured one of the bloodiest conflicts in American history. Drawn from the official archive of the Veterans of the Battle of the Bulge, Inc., these stories describe in riveting detail the experiences of ordinary people-from brutal combat and facing one’s own mortality to glimpses of human kindness and introspection in desperate times. Readers of all ages will find great meaning in this unique collection of memories. It is both educational and entertaining. This book seeks to preserve the legacy of those brave men and women who served the United States of America during the largest land battle ever fought by the U.S. Army, the Battle of the Bulge: December 16, 1944 to January 25, 1945. The Veterans of the Battle of the Bulge, Inc. (VBOB) is a membership organization instituted to: Perpetuate the memory of the sacrifices involved during the Battle of the Bulge; preserve historical data and sites relating to the Battle of the Bulge; foster international peace and goodwill; and promote friendship among the survivors of the Battle of the Bulge and their descendants. The purpose for creating and publishing this book is to help preserve the legacy of those brave men and women who served the United States of America during the largest land battle ever fought by the US Army, the Battle of the Bulge. The book contains stories written by individuals who only knew about the job they where supposed to do, and they did it in magnificent fashion until the Nazis were defeated. These same stories were published in The Bulge Bugle, a quarterly publication of the Veterans of the Battle of the Bulge, Inc. We can never repay them for their courage and sacrifices, but we can make sure they are always remembered.